Color has always played an important role in architecture. By definition, color is a phenomenon of light or visual perception that enables one to differentiate otherwise identical objects. Color influences us both psychologically and physiologically, helping to create very specific moods. 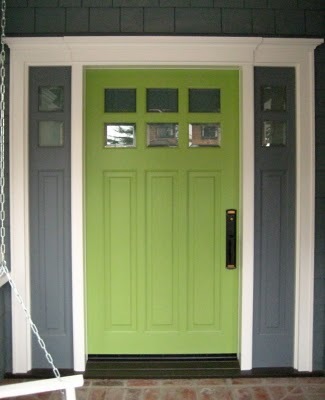 Green is linked to tranquility and good luck. It is considered refreshing, quiet, natural, and healthy. Contrary to red, when looking at green the eye’s retina focuses exclusively on the color, which makes green the most restful color to the eye. The color green relieves stress. 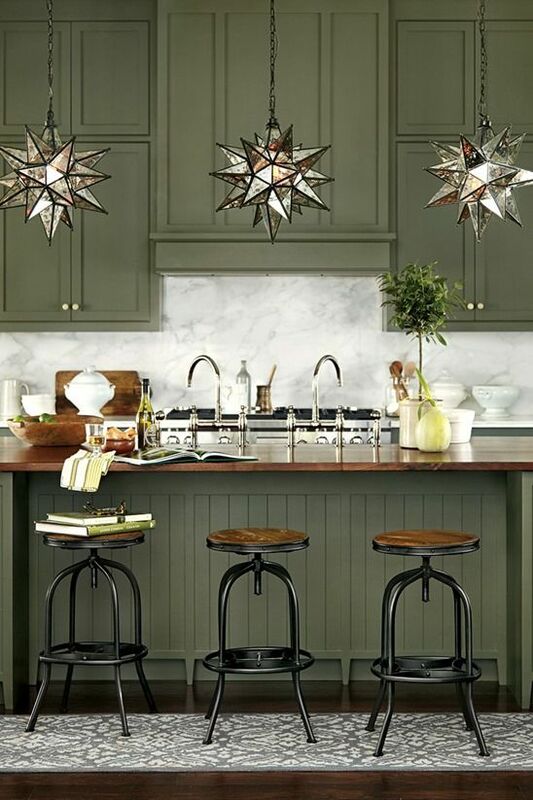 These associations make green a perfect color to incorporate into ( the Architecture) of your home and a hot (though cool) color continuing to trend for Spring 2018. 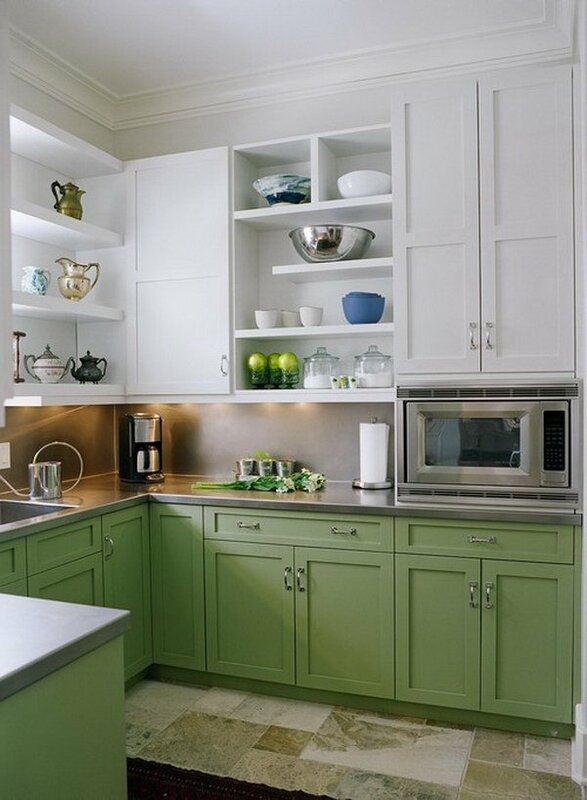 In your kitchen, different shades of green paint can work as an accent to your cabinetry. 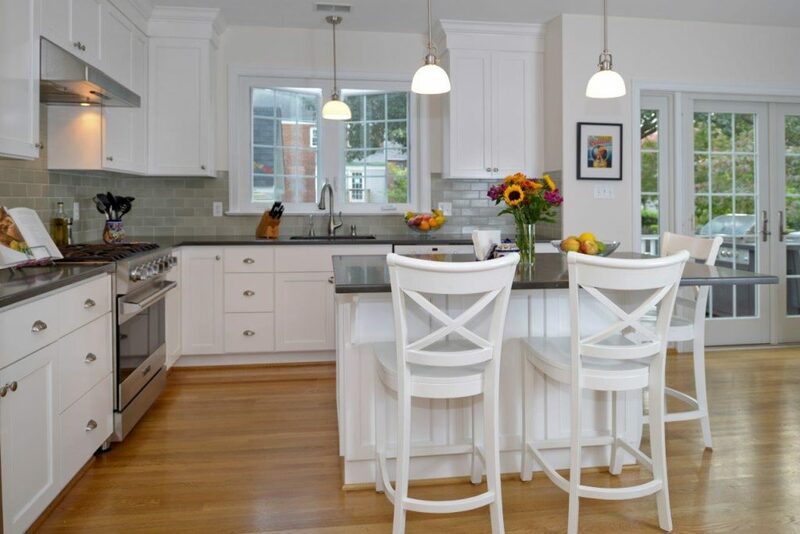 Green backsplash tiles can be a great focal point. 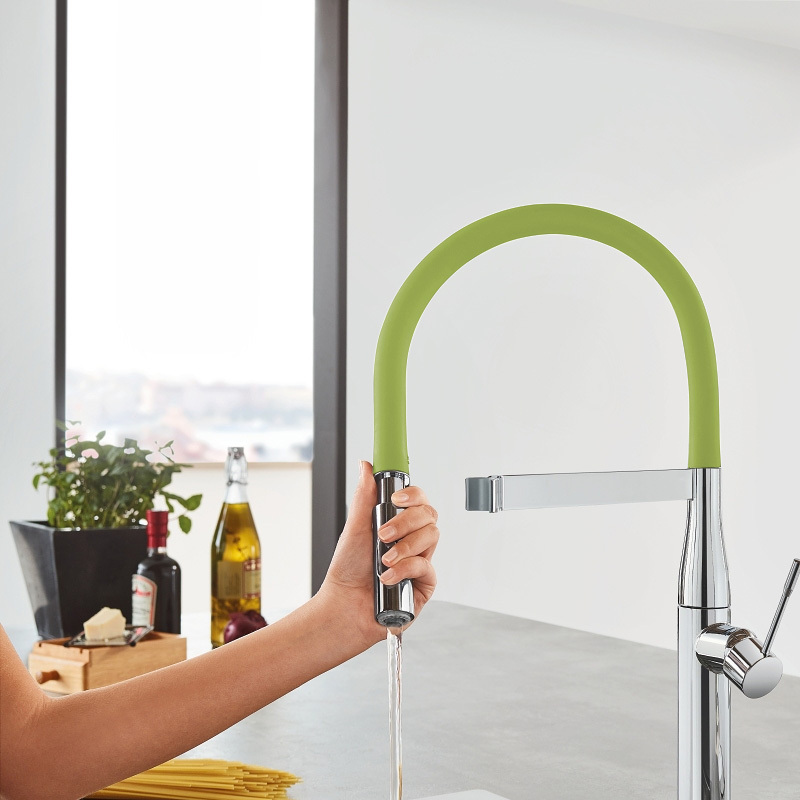 Another opportunity for you to use green is at your sink with a faucet! 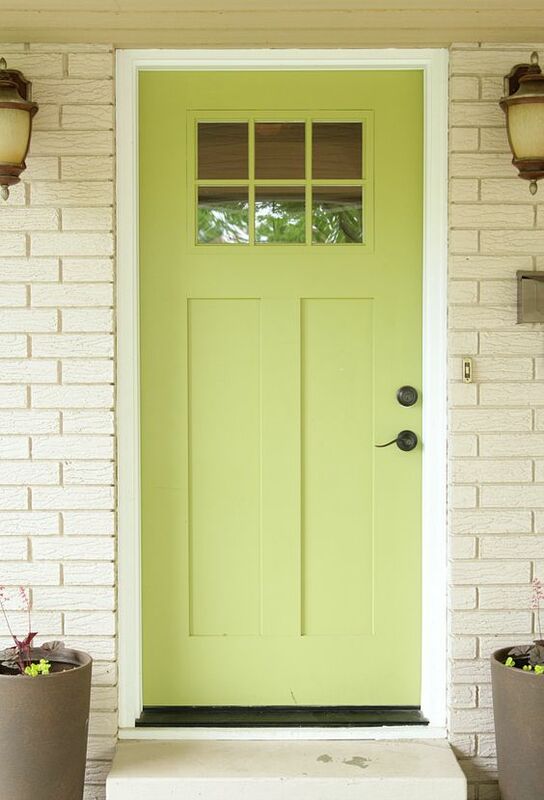 The green can be bold and vibrant, grassy or lean towards food inspired colors such as bayberry or mint or even guacamole. 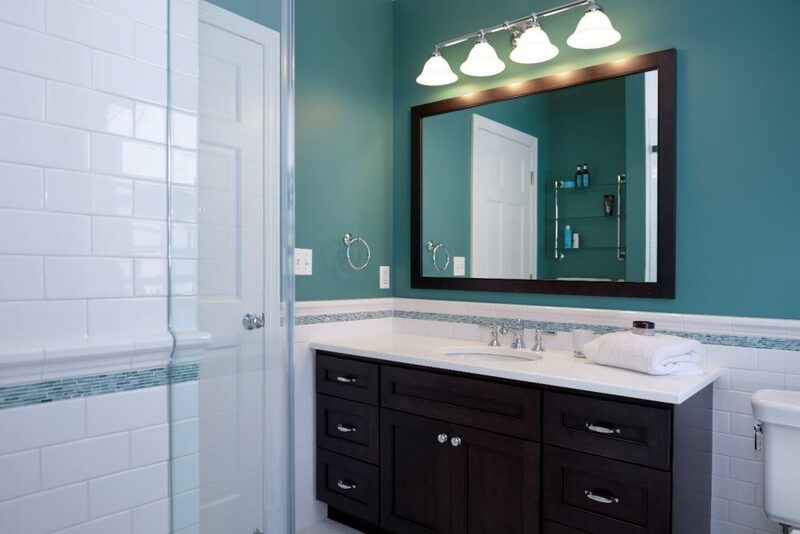 The 3rd lucky place to incorporate this color trend is your bathroom. 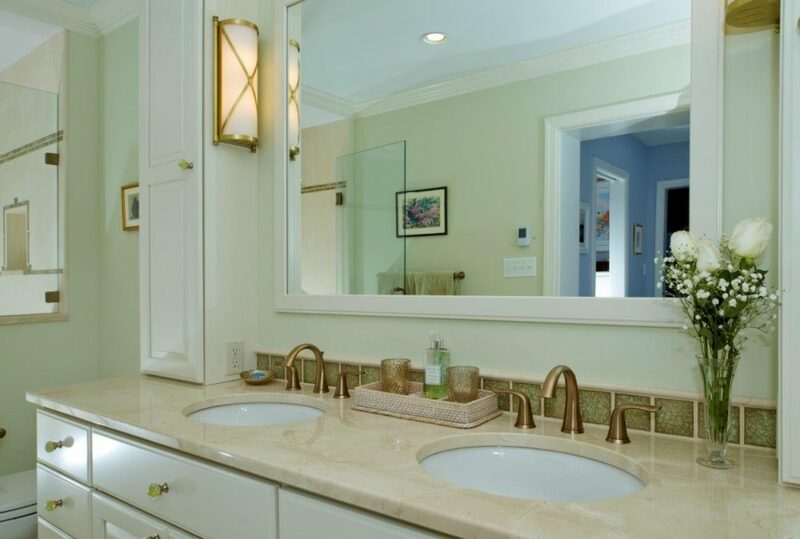 Historically, greens have always been popular and worked well in bathrooms. Calming sages and beach glass shades can really help to set a relaxing mood. 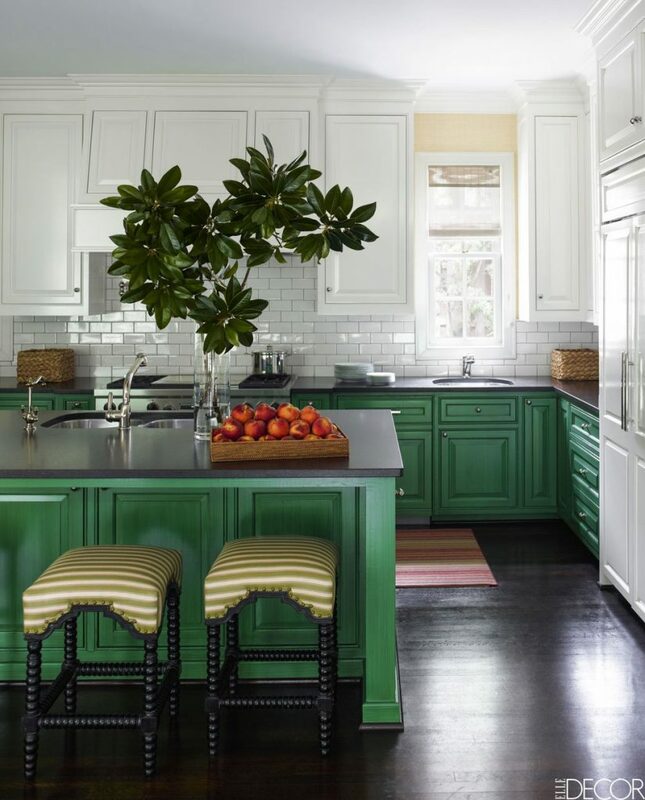 Whether on the walls, the tile, the counter top, or even as the cabinet hardware…green works!